Aging is the natural way by which the cells become older. Biological changes of aging occur due to progressive deterioration in the cellular function & durability of viable cells. Cosmetic skin rejuvenation techniques can now make you look beautiful and much younger than your actual age. What are the causes of Aging? What are the anti aging procedures available? 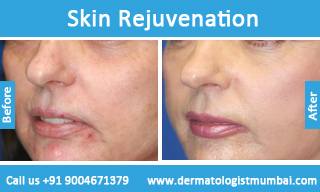 There are numerous procedures of skin rejuvenation and each skin type requires a different kind of procedure. From laser lights to chemical peels to any kind of non-ablative methods, the possibilities are endless. Only if you talk to the right skin consultant, you don’t run a risk. For instance, even a small problem such as wrinkles is of numerous kinds. From wrinkles that are static to those that cause skin folds, The Esthetic Clinic provides treatment for all kinds of wrinkles. In fact, even pigmentation problems are of different kinds. 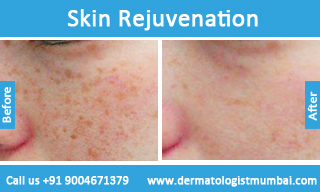 One could be suffering from anything from freckles to sun spots to patches on the skin. However, excessive heat of the sun is usually the cause of any kind of pigmentation problems. Scars again are of different kinds and need to be minutely observed before one indulges in treatment. Sometimes a scar is wavy in nature, sometimes pitted, sometimes discoloured and sometimes piqued up. 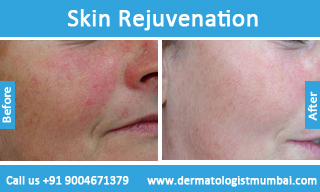 On rare occasions one finds the visibility of blood vessels on the face which results into redness of skin. 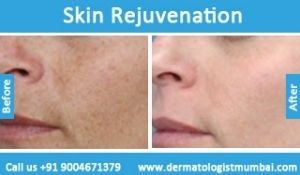 The procedures that involve skin resurfacing treatment are countless. Some of the procedures finish off in no time while others stretch over days. It depends on the type of problem, fitness level, age and health record of a person regarding what kind of treatment will be suitable for him or her. Our experts at The Esthetic Clinic, will counsel you on what is the best treatment for your skin. 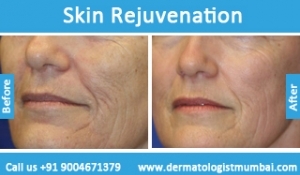 Though surgical procedures like face lifts, liposuction, blepharoplasty for the under eye swellings, cheek and chin implants, may have to be used in advanced stages, and have their own place in rejuvenation, they are almost always combined with non surgical measures to achieve the best results by improving the health and quality of the skin and regeneration of fresh collagen. Microdermabrasion: Removing the uppermost layer of the skin. Chemical peels: Chemical solutions applied to the skin to peel off upper damaged skin layers to reveal fresher skin below. Mesotherapy with a cocktail of ingredients like Hyaluronic acid, organic Silicium, botulinum toxin etc., the claims and benefits of which are not substantiated. Intense pulse light (Photofacial) –Needs repeated treatments to sustain effect. 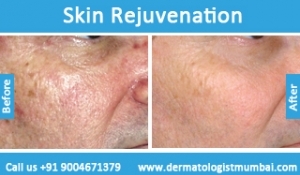 Fractional resurfacing: Ablative laser like the carbon dioxide laser are most effective. They are capable of achieving total transformation with a few sessions and followed by yearly maintenance sessions. Downtime of a week is expected, but if performed appropriately the side effects are minimal. Botox (Botulinum toxin) and Hyaluronic acid fillers: For dynamic and static wrinkles respectively. Results are almost instant but need to be repeated over a period of time; however, longer lasting fillers are now available in the market. Volume enhancement with volumising fillers in case of the under-eye hollows, temporal hollows and the cheek volume loss. What are the points one needs to remember before deciding to undergo anti aging treatments? These techniques can be used for hand, neck, calf, feet, breast rejuvenation also. Every skin is different, just like every individual is unique. One must have realistic expectations and not get carried away by advertisements, results obtained in other patients, celebrities etc. A trained expert cosmetic dermatologist with ample years of experience should be your treating physician. 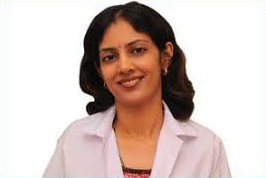 Quality patient care is provided through well trained specialist Dermatologist – Dr. Rinky Kapoor as well as plastic surgeon who give customized expert advice and personally perform treatments with the latest technology and techniques in treating any disease/cosmetic concern available worldover.